As a UKCES Commissioner and owner of a small business, I often feel somewhat removed from further education and so when the opportunity arose for me to visit Northbrook College in Worthing, I jumped at it. I was given the guided tour by the Principal Sue Dare. She was rightly proud of how the college has taken steps to improve both their buildings and facilities - two of the three campuses having had a complete re-build in the past five years, with further major work in the pipeline – and more importantly improved the prospects for local young people. Northbrook delivers a wide range of provision to over 16,000 students. Many of the subjects they offer reflect West Sussex’s regional strengths in advanced engineering, creative industries, social care and tourism. Our first point of call was the Broadwater site which caters to 16-19 year olds. It primarily delivers vocational courses; a great option for young people for whom the traditional academic route of GCSEs onto A-levels may not appeal. Northbrook works extensively with local schools to reach and support these pupils enabling them to make a positive choice about their future and find a course which suits their interests. In addition the reach and ethos of college sees it helping young people even earlier in life. Leveraging an extensive network of employer links Northbrook has taken on the role of organising work experience for all of the 23 local secondary schools. This is fantastic. Gaining good quality work experience is of significant benefit and often a major factor in securing employment. 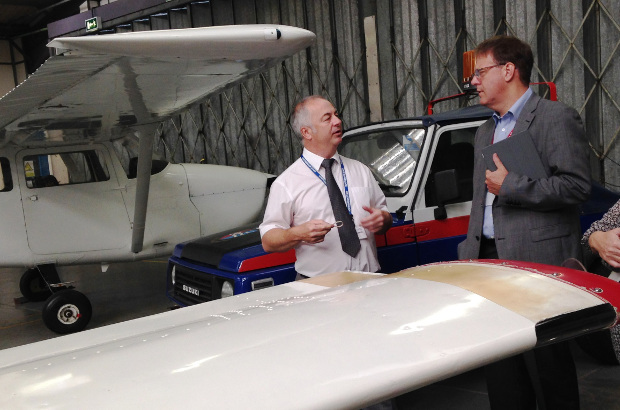 The next stop was the Shoreham Airport site - a mecca of cars, bikes and aeroplanes. With a superb set-up including two competitive racing cars for the students to develop their engineering skills on, there was a real buzz about the place. The students here are mostly Apprentices and so are already employed and earning whilst they learn. Apprenticeships enable the students to progress both their education and at work, with most leading directly into a permanent job once the training stage is completed. The ‘University Centre’, as the West Durrington campus is known, completes Northbrook’s offering. Students can study a wide range of vocational degrees including design, textiles, photography, music and the theatre to list but a few. Many of the courses include working on commissions from local employers or community groups and so helps students develop skills in a real life context. The result is strong progression into employment including giving students the confidence to consider self-employment – in turn creating new businesses and potentially future employers. By the end of the day, I felt that I really understood the ethos and vision behind Northbrook College. It has firmly anchored itself at the heart of the local community and economy, demonstrating the connectivity between education provider and businesses that UKCES sees as essential to better preparing people for work. And it does work - 92% of Northbrook’s full-time students either gain employment or progress into higher education. This high figure is even more impressive considering up to 80% of the younger students had left school without a grade C GCSE in both English and Maths. I’d seen just a small glimpse of the hard work and learning behind these statistics on my tour, but it was a great reminder of the positive impact of further education on young lives and the community.